Mouse-like rodents (Myomorpha) are a group of rodents that includes rats, mice, voles, hamsters, lemmings, dormice, harvest mice, muskrats, and gerbils. There are about 1,400 species of mouse-like rodents alive today, making them the most diverse (in terms of a number of species) group of all living rodents. Members of this group differ from other rodents in the arrangement of their jaw muscles and the structure of their molar teeth. The medial masseter muscle of the jaw in mouse-like rodents follows a rather bizarre route through the eye socket of the animal. No other mammal has a similarly configured medial masseter muscle. The unique arrangement of the jaw muscles in mouse-like rodents provides them with powerful gnawing capabilities—a valuable trait considering their diet which includes an assortment of tough plant materials. Mouse-like rodents eat a variety of foods including berries, nuts, fruit, seeds, shoots, buds, flowers, and grains. Although many mouse-like rodents are herbivorous, others are also granivorous or omnivorous. Mouse-like rodents have a pair of ever-growing incisors (in their upper and lower jaws) and three molars (also known as cheek teeth) on either half of both their upper and lower jaws. They have no canine teeth (there is a space instead called a diastema) and they have no premolars. Dormice (Myoxidae) - There are about 29 species of dormice alive today. Members of this group include African dormice, garden dormice, mouse-tailed dormice, and giant dormice. Dormice are small rodents with fur-covered tails. Most species are nocturnal and arboreal. Dormice have a keen sense of hearing and are agile climbers. Jumping mice and relatives (Dipodidae) - There are about 50 species of jumping mice and their relatives alive today. Members of this group include jerboas, jumping mice, and birch mice. Jumping mice and their relatives are small- to medium-sized rodents. They are skilled jumpers that move by taking hops or leaps. Many species have long legs and feet, as well as a long tail that serves as a counter-balance to their movements. Pocket gophers (Geomyidae) - There are about 39 species of pocket gophers alive today. Members of this group are burrowing rodents that are best known for their tendencies to stash away large quantities of food supplies. 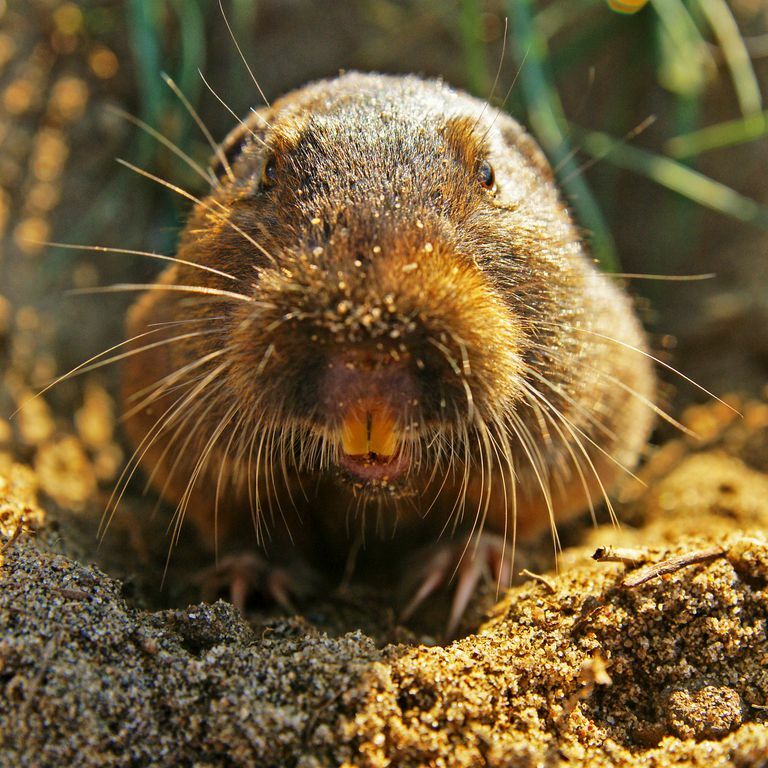 Pocket gophers are the most avid hoarders of all of the mouse-like rodents and stock up on foods such as roots, tubers, stems and other plant material that provide them with food throughout the winter (pocket gophers do not hibernate). Pocket mice and kangaroo rats (Heteromyidae) - There are about 59 species of pocket mice and kangaroo rats alive today. Members of this group include spiny pocket mice, kangaroo mice, and kangaroo rats. Pocket mice and kangaroo rats are burrowing rodents that inhabit the deserts, scrublands, and grasslands throughout western North America. Pocket mice and kangaroo rats gather seeds and plant material in their cheek pouches and store the food in their burrow for the winter months. Rats, mice, and relatives (Muridae) - There are about 1,300 species of rats, mice, and their relatives alive today. Members of this group include hamsters, mice, rats, voles, lemmings, dormice, harvest mice, muskrats, and gerbils. Rats, mice, and their relatives are small rodents that inhabit Europe, Asia, Africa, and Australia that are prolific breeders that produce large litters several times each year. 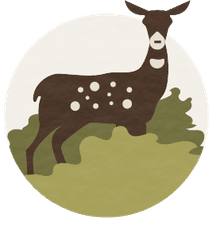 Hickman C, Roberts L, Keen S, Larson A, l'Anson H, Eisenhour D. Integrated Principles of Zoology. 14th ed. Boston MA: McGraw-Hill; 2006. 910 p.